Plans to revive the Club Foot bar have fallen apart, but 1st Ward Ald. Proco Joe Moreno said he would support lifting a tavern license moratorium at the Augusta Boulevard site. "I am very seriously considering lifting all moratoriums in East Village because they are old ways of dealing with protections in our city," he told EVA members Sept. 14. Moreno also said he'd support a $500 million property tax increase to balance the Chicago budget. He noted that his proposal for a city tax on smokeless tobacco would need a new state law, and claimed that tax increment financing has been abused, although he'd keep the 1st Ward's TIF district. Ed Marszewski, Club Foot's prospective new owner, did not attend the meeting. But Moreno said Marszewski couldn't get a lease at 1824 W. Augusta Blvd. Members discussed the prospect anyway. Supporters of Marszewski's Golden Arms plan said EVA should be more flexibile on side-street zoning. Neighbor Caroline Garypie said she gathered 38 opposing signatures within a block of the bar. Moreno's staff asked Marszewski in May to approach EVA. Marszewski wanted to lift the moratorium and roll back residential zoning on Augusta. EVA's board advised him instead to ask neighbors to support transferring the Club Foot license, a "grandfathered" zoning use. "The East Village Association leadership has got to go through a big change for me to start recognizing," Moreno told EVA members. "I like a lot of what the membership are saying here tonight because for too long a cadre of nine or 10 people have been trying to control this neighborhood. It's not going to happen under me." 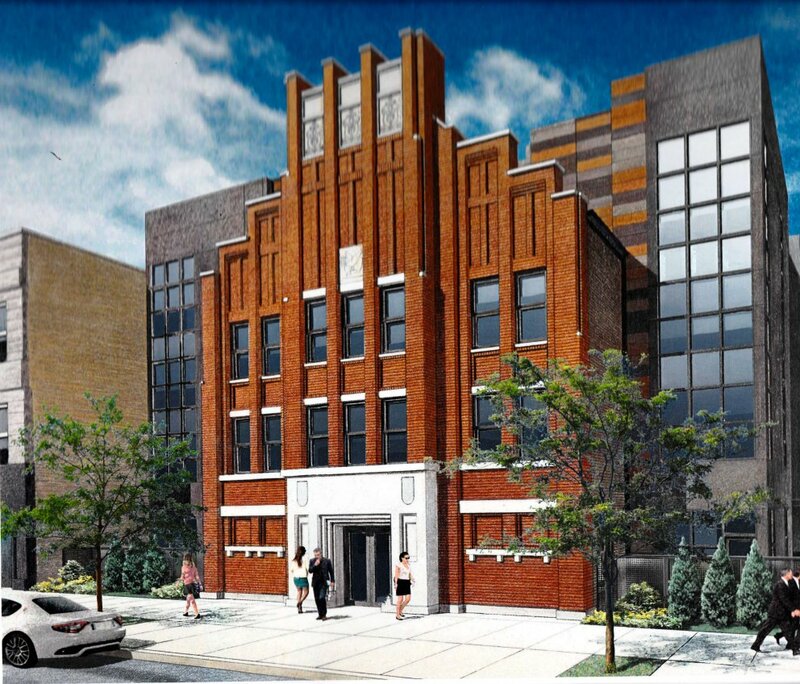 EVA members last year agreed to lift a Chicago Avenue moratorium to allow the pending Forbidden Root brewpub, 1742-50 W. Chicago Ave. In the night's only vote, members agreed to let a 33-unit apartment project proceed at 1062-1100 N. Ashland. Developer Mark Sutherland told the group the East Village Lofts would require residential upzoning and extension of the city's transit-oriented development zones. The article is pretty harsh and does not capture the truth of the matter. He did introduce an ordinance to reduce it for those making $100k or less (and to Neal's point, that would be almost impossible to regulate). At the 11:10 minute mark he states that is committed to lowering the bourden on property owners after explaining other means of raising the money. He goes on to state, "at the end of the day, if we have to raise taxes, I want to make sure we've exhausted whatever we can." The way this posting makes it sound like is that he goes straight to the support of the $500 million dollar property tax increase. He is proposing ideas and attempting to raise revenues. Wasn't that the main reason he wanted to come to the meeting in the first place? It really wasn't until around minute 29 only after he stated he wouldn't cut funding for mentally ill and other services that he stated he would raise property taxes. The tone of this posting is troublesome. The EVA is not a zoning commission, but is an advisory body. The EVA did not "agree to to let a 33-unit apartment project proceed," it voted not to oppose the project. And last year the EVA did not "agree to lift a Chicago Avenue moratorium" to allow Forbidden Root, it voted to support (or perhaps "not oppose") the project. It raises the hackles of some people in the neighborhood when the EVA implies that its approval is necessary for these types of actions, which is not the case.